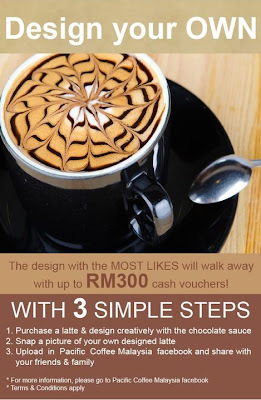 Visit Pacific Coffee Facebook fan page for more details. Are u a BLOGGER? Your chance to win some cash & prizes here!